Lake Norman makes a great day-trip destination from Charlotte, North Carolina, especially for fisherman. 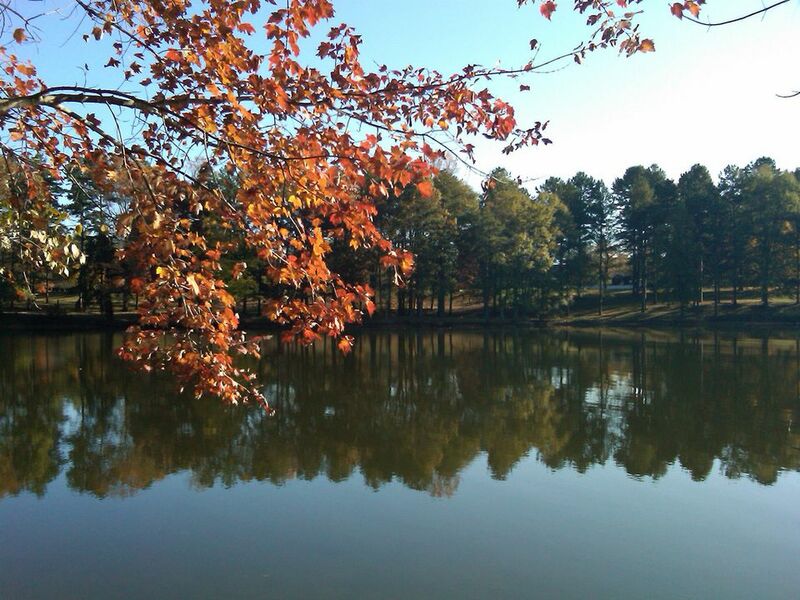 This fishery is home to several different species of fish including crappie, bream, bass, catfish, and more. A look at the lake's most common residents reveals the average size of each species, their location in the lake, as well as fishing regulations specific to Lake Norman. If you're lucky, one of these fish varieties may end up on your line during next North Carolina fishing trip. Black bullhead catfish have an average length of 6 to 10 inches, a length smaller than other bullhead fish. Like most catfish, this species is nocturnal and feeds at night (making for good nighttime fishing). You'll find them in stagnant, muddy water, around lake outlets, and under dams. The blue catfish is one of the largest non-native species of catfish found in Lake Norman. In fact, the largest blue catfish caught in Lake Norman weighs in at 85 pounds. But on average, adult blue catfish range from about 18 to 24 inches. Search for this stocked fish below dams, as they tend to hang out in deep water. And since blue catfish are one of the yummiest freshwater fish to eat, target this species if you're looking to make a meal from your catch. Adult bluegill range from 7- to 11-inches long and weigh less than a pound. These paper-thin fish (sometimes called bream, brim, or copper nose) have an opalescent sheen and are easily identified by their black ear flap. Fish and Game regularly stocks Lake Norman full of bluegill to provide food for larger fish, particularly the largemouth bass. They hide in and around underwater vegetation and structures, and alternate between deep and shallow water, depending on the season. The channel catfish is America's most common species of catfish. Their distinctive forked tails and the dark spots on their torso make them easy to identify. Adult fish top out at 45 pounds, but a 10-pounder is a great catch for the average angler. Channel catfish seek out quiet areas of the lake with warm water. Find them near rock ledges, weedy areas, logjams, and dams. A favorite inland sporting fish, black crappie hang out in Lake Norman. For this reason, the lake hosts several crappie fishing tournaments each year. Black crappie usually grow up to 4 to 8 inches long and can be found in clear water and with plenty of coverage (like submerged timber or vegetation). For an easy catch, fish them during their feeding times of midnight to 2:00 a.m. or from 4:00 a.m. to 7:00 a.m. In Lake Norman, the size limit for crappie is 8-inches long, and you can't keep more than 20 fish a day. The largemouth bass is olive green in color, with a series of dark horizontal stripes along each flank. Their adult size reaches around 14 inches, and they weigh approximately 2 to 3 pounds. In Lake Norman, catch largemouth bass around islands and structures like boat docks. They also like rocky areas and can be found feeding under schools of shad. This favorite of inland fisherman likes to put up a fight when they're reeled in. But, mind the minimum size limit of 14 inches and the daily limit of 5 fish total. The sauger (also called the sand pike, jack salmon, or spotted trout) is a close relative of the walleye and grows up to 10- to 18-inches long. This long, thin fish with shiny brass sides and dark spots was once a popular fish to catch in Lake Norman, Yet (probably due to overfishing), you rarely spy the occasional one. The record catch for a sauger in Lake Norman weighs in at 5 pounds, 15 ounces. A relative of the sunfish, smallmouth bass are brown in color with dark vertical stripes and red eyes. Male fish weigh around 2 pounds and female fish range from 3 to 7 pounds. Look for them in clear, cool waters. And if you're fishing Lake Norman, don't keep smallmouth bass under 14 inches, with a daily limit of 5. This slender, olive-colored fish with a black spotted line along its middle reaches an adult size of 13 to 17 inches. The current record for a spotted bass in Lake Norman is 6 pounds, 11 ounces. Find them around underwater vegetation in warm, cloudy waters. In Lake Norman, the minimum size limit for spotted bass is 4 inches, with a daily limit of 5. Lake Norman's most popular fish is best fished at night or in the early morning when the water is cool. In the spring, find strippers on the lake's shallow shoreline. But in summer, they reside in deeper waters. There's a 16-inch size limit on Lake Norman from October 1st to May 31st, but you can keep any stripper you catch from June 1st to Sept. 30th, with a year-round daily limit of 4. The biggest fish caught in Lake Norman weighs in at 34 pounds. This large, olive-colored fish grows up to about 30 inches and is a popular species with the anglers of Lake Norman. Since walleye spawn on rocky bottoms in shallow, clear water, you can find them hanging out just at the edge of shallow areas in slightly deeper water. Catch your limit of 8 fish a day in Lake Norman, with a minimum size of 15 inches. White Bass are easily identified by their beautiful silver sheen and the black lateral stripes on their side and back. Adult fish grow to about 10 to 12 inches in size and weigh little more than a pound and a half. 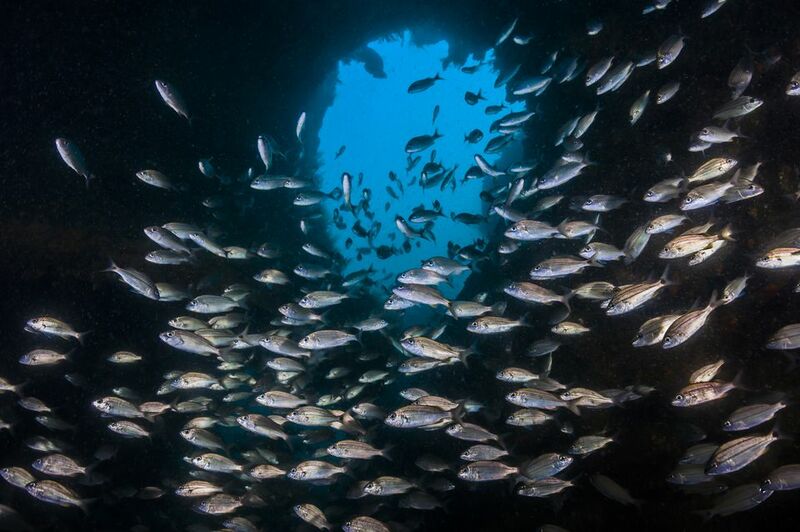 This schooling fish tends to gather in high numbers in clear, open water. And there's no minimum size for your catch on Lake Norman, but the daily limit is 25. Yellow perch range from 4 to 10 inches when fully grown. Considered an easy catch, these fish are found on the ends of lines even when they aren't the intended target species. They live in shallow water, so don't look for them in the middle of the lake. And since many lures are designed to look like this feeder fish (a popular food source for larger fish), anglers will often catch them to use as bait. Bream range in size from 12- to 22-inches long and live in schools near the bottom of a lake. For an easy catch, look for bream feeding close to the shore. Since bream rarely fight when hooked (mostly due to their flat body shape), they're a great target species for beginning fisherman or children.